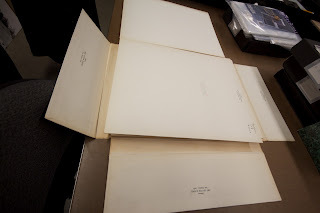 The ACCD Archive collects and preserves the historical documents of the school, its alumni and faculty, and its landmark site. 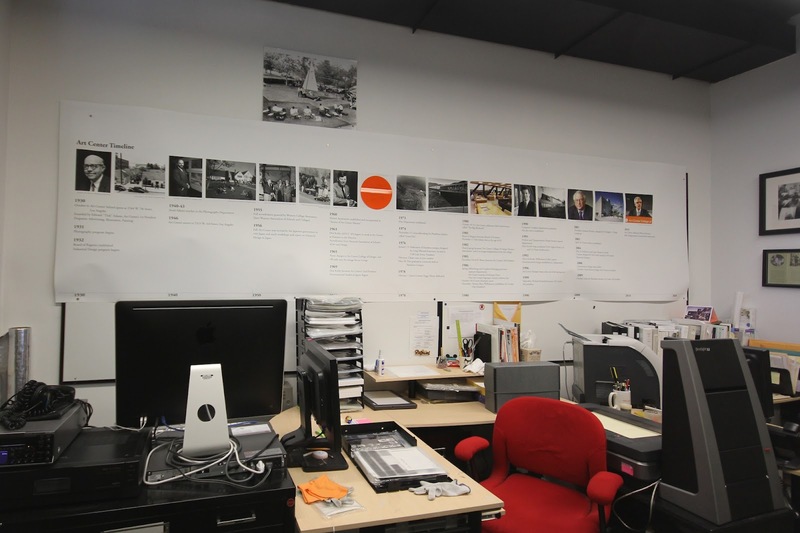 It houses a variety of material: the tree made publications of the institution, books, video, film, audio, photographs and events ephemera. ACCD Library Director Betsy Galloway supported the relatively recent creation of the archive. With the impetus of a major anniversary of the school (75 years young), a grant was sought and won, with funds used to create the archive and arm it with archiving talent. 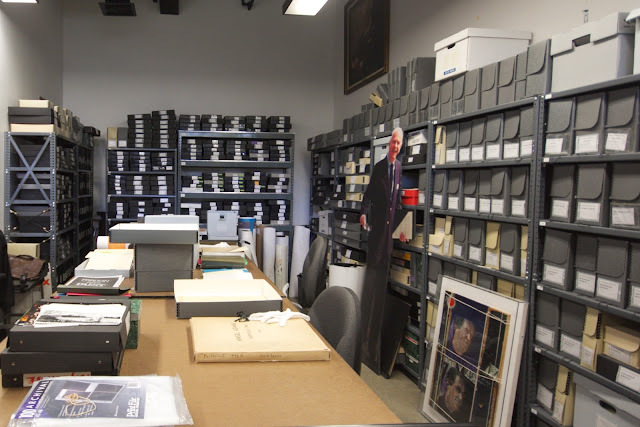 Archivist Robert (Bob) Dirig has since help transform the collection from the mildewed boxes of old to the well ordered universe that lay before me. With a strong background in film preservation, Bob's current role provides a welcome opportunity to work with the various departments, pinning down all kinds of production for the records. 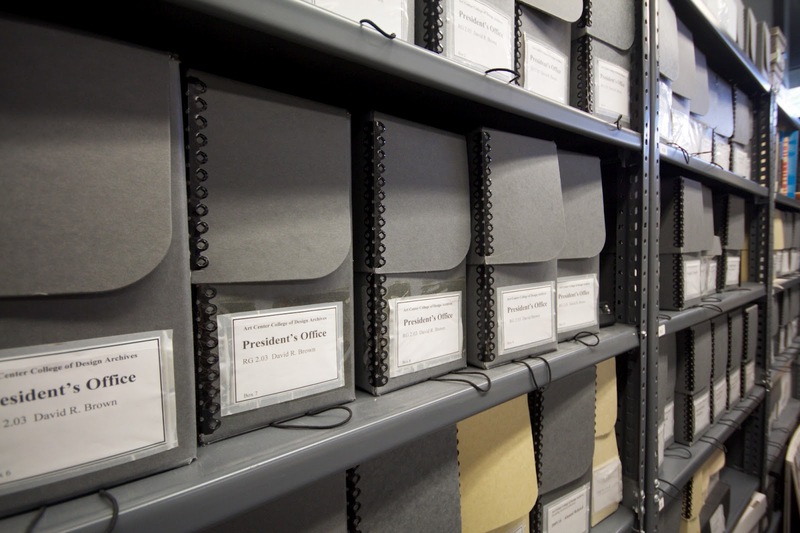 He notes the necessity of proper archiving for an institution to really know itself, historically and contemporaneously. Here is a short interview with Bob where he shares his views on archiving, medium, technology and the like. A handsome timeline displaying images of past Center Presidents collated from the photo archive by Bob himself- excellent. 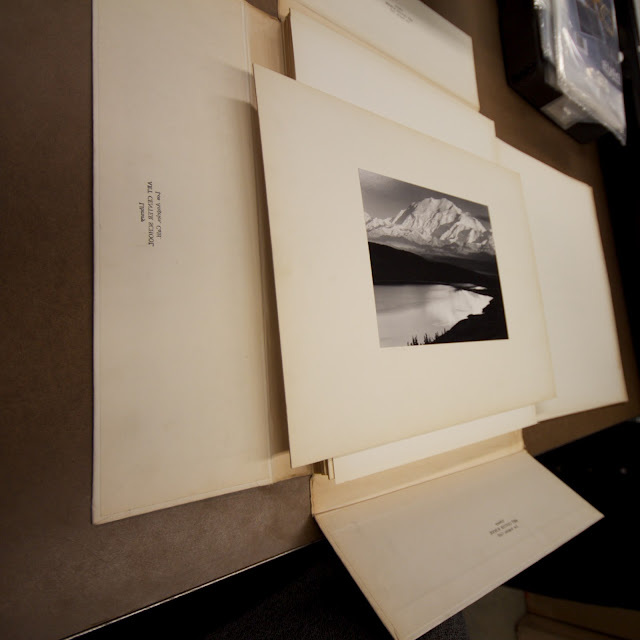 But what was truly fantastic for me was one of the jewels of their fine collection- the 1948 Ansel Adams portfolio. The old library stamps spurred conversation on the chronological/institutional/operational and design issues library stamps can represent. How different practices and paradigms can be easily read not just in the typography, typeset and ink of the stamp, but in the placement and spread of the marking. Organisational name changes and library name changes have their effect, too. The Adams portfolio is stamped "Art Center School", a previous moniker. I know many old National Art School Library books whose stamps tell tales of organisational tetris. Here is a Flickr pool showing love for the library stamp. Go, stampers. While at NAS I compiled a collection (of facsimilies) of the dozens of different donation/dedication exlibris designs I came across in the front of old tomes. I should pass them on to Elizabeth some day.